Newark Therapist: Windows of Opportunity Counseling Services - Therapist 94560. Send A Message To Windows of Opportunity. My name is Evelyn and I am the owner of Windows of Opportunity Counseling Services. I am a Licensed Marriage and Family Therapist and have been practicing psychotherapy for 29 years. I love what I do and feel privileged to be able to do what I am passionate about, which is helping people. My parents emigrated from Germany and Brazil. From this background, I inherited a great interest in culture and a lively yet down-to-earth and logical style. I strive to be sensitive and compassionate and people tell me I have a lighthearted yet calming presence. When I am with people my aim is to provide an open, curious, encouraging and safe healing space. I work with people who are generally excited about life, love, work, personal and relationship growth but who may have hit a road block and are seeking support and really want to grow. My specialties include trauma resolution, marital and couple therapy, and family counseling. My heart's desire is to help people reach their highest potential by helping them heal themselves and their most important relationships. Attachment theory is my primary orientation. I believe that feeling securely connected to those most important to you is the foundation of growth and productivity. I just love this quote, "Oh, the comfort - the inexpressible comfort of feeling safe with a person - having neither to weigh thoughts nor measure words, but pouring them all right out, just as they are, chaff and grain together; certain that a faithful hand will take and sift them, keep what is worth keeping, and then with the breath of kindness blow the rest away." ~Dinah Craik, A Life for a Life, 1859 Isn't this what we all long for? I have a B.A. from the University of Wisconsin at Eau Claire in Communicative Disorders, an M.A. in Christian Ministry with an emphasis in Counseling from the International School of Theology, and an M.A. in Marriage and Family Therapy from Azusa Pacific University in southern California. I have specialized training in EMDR and Life Span Integration and am certified as an Emotionally Focused CoupleTherapist and supervisor. I see psychotherapy clients and am in the office on Monday, Tuesday and Thursday and every other Friday. Contact me to discuss making an appointment. Someone from my office will get back with you within 24 hours usually much sooner. During the summer, I see clients Monday, Tuesday and Thursdays. When I am not in the office seeing clients, you'll find me either doing consultation and teaching Emotionally Focused Therapy to other clinicians, practicing yoga, hiking with my husband, or volunteering at various sites with my Ohlone Humane Society verified therapy poodle named Sugar. Who, if you come see me, you may meet as lately I have been bringing her as a co-therapist. My life is awesome and full! 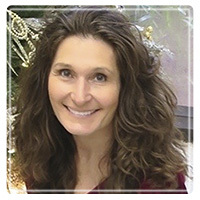 My name is Lisa Call and I am a Marriage and Family Therapy Associate. After more than 27 years in the classroom as an elementary school teacher, I decided to go back to school to become a Marriage and Family Therapist. I love people and deeply value being able to help and serve. I work with people who are strong and courageous and willing to take the journey of self and relationship discovery. Believing that people of all ages can overcome difficulties, have the capacity for change, and are able to discover how to be their best, I am committed to working hard to create a compassionate, empathic, and caring space for others built on the foundation of kindness, trust, respect, and support. I believe that people of all ages can find the courage to overcome difficulties, have the capacity for change, and are able to discover how to be the best they can be. By creating a warm, empathic relationship built on the foundation of trust, respect, and support with clients, I utilize a holistic approach toward counseling where emotional, physical, mental, and spiritual elements are utilized within the healing process. I received a graduate degree in Counseling from Palo Alto University in 2017 and trained at Community Health Awareness Council and Discovery Counseling Center. I've counseled children and adolescents in elementary, middle school, and high school settings, as well as worked with college students at Gavilan College. While still in school, I learned about Emotionally-Focused Therapy, was drawn to this attachment-oriented model, and believed it could have a powerful impact for clients. I've completed an EFT Externship, EFT Core Skills and am very excited to see couples and families using this model in private practice. I also just trained in brain spotting, which treats many different types of distress. I have an A.A. in Fine Arts and a B.S. in Social Work. I've been married for 32 years, have 4 grown children, and enjoy living in the Santa Cruz mountains. I am excited to be with Windows of Opportunity Counseling and seeing clients on Monday and on Thursdays. My name is Amisha and I am a Registered Associate Marriage and Family Therapist. I grew up in India and emigrated to California with my family at the age of 15. I speak both English and Hindi. I love life and have a passion for helping people. Upon getting my BA in Psychology in 1999 from UC Berkeley, I went on to craft a successful career in technology in Silicon Valley. After a dozen years in the bustling life of software sales, and experiencing various facets of life, I reached a point where I felt the need to do something that fed my heart. I wanted to help people heal themselves and their relationships. I carry deep empathy for people and returning to my roots in psychology became an imminent need. I now hold an MA in Counseling from Palo Alto University. I have experience providing psychotherapy to youth in home and school environments working with parents and teens. I helped families understand the nuances of adolescence and supported them through this challenging stage of life. I've also lead a boys group focusing on skills-based behavioral training. I've used play therapy, sand tray, and expressive arts to facilitate self expression and growth. Currently, I work at several sites seeing couples and individual adults. My approach is humanistic, which means I take a deeply accepting stance with all of my clients. I believe we all can grow given the right support and opportunity. I have a particular passion for working with couples and families. We begin to experience problems in our lives when we feel “stuck.” Through attunement, reflective listening, validating, and building a strong alliance, we can work through this “stuck” place together and find solutions. In my work with couples, I use Sue Johnson’s Emotionally Focused Therapy (EFT) to de-escalate conflicts, create safety in the relationship and forge a new way of connecting. In addition, I integrate TEAM-based Cognitive Behavioral Therapy (CBT) to help individual clients work through held beliefs that may be causing their suffering. In my spare time, I indulge in travel around the globe, learning about various cultures and customs. I enjoy cultural events especially music and dance, and caring for my 2 lovely children. I see clients on Fridays.